From time to time, when we log in our Gmail accounts, we see mails that came in hours ago but did not receive any push notification. 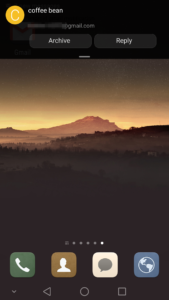 As a result, we may miss some deadline by hours. Knowing Exchange mail account and Google Apps have push mail notification for the users, they always get notified on time and this is why most business people use these paid services. Now, we may wonder is it possible for free Gmail accounts to also get this kind of push mail notification benefit? Android – Just use Gmail App for Android to achieve email notification as described in next section. iOS – Just use Gmail App for iPhone to achieve email notification as described in next section. OS X – Log in your Gmail account on the respective device. Then, refer to tutorial on Change email notification. However, the downfall is that Chrome, Firefox, or Safari must be opened at all time if you wish to receive such email notification via Chrome. The notification will pop up in 1 to 2 minutes after the mail was delivered. 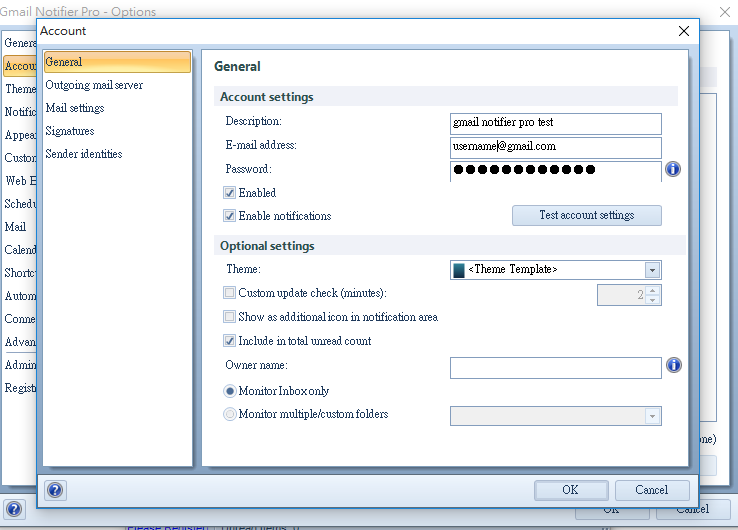 Windows – Log in your Gmail account on the respective device. Then, refer to tutorial on Change email notification. However, the downfall is that Chrome or Firefox must be opened at all time if you wish to receive such email notification via Chrome. The notification will pop up in 2 to 4 minutes after the mail was delivered. iOS – Gmail for iOS: Like Gmail App for Android, you need to make sure the notification alert for Gmail App is turned on somehow. OS X – N/A: Currently, there is no Gmail App by Google. 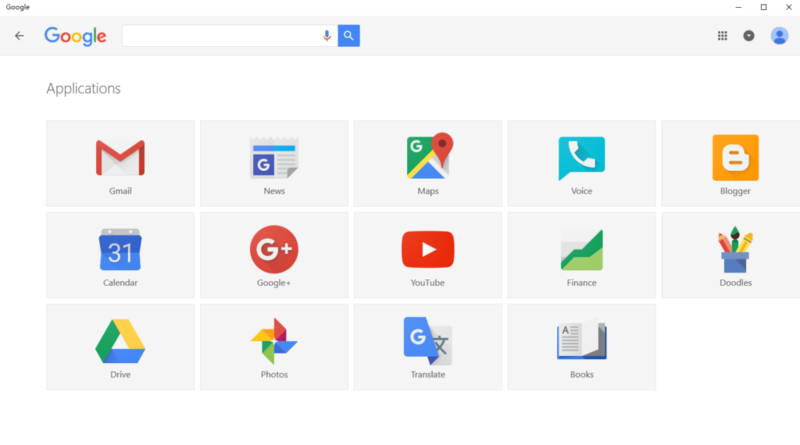 Windows – Google: This is a Windows 10 App gathering all Google services in a browser view. When you click on Gmail icon, a Gmail web-UI session will pop up. Thus, it works the same as how Chrome Gmail Push Notification works. Please refer to what we wrote earlier above. Android – Just use Gmail App for Android to achieve email notification. 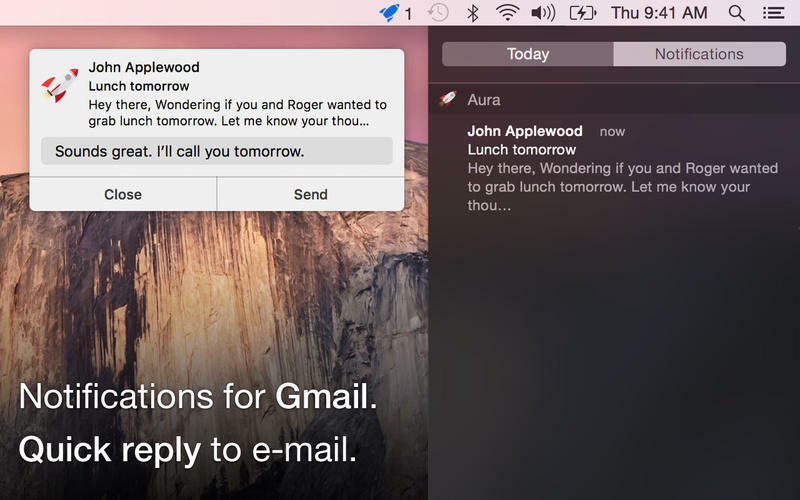 iOS – Just use Gmail App for iOS/iPhone to achieve email notification. Aura Once you install this Chrome extension, Aura will ask you to complete Google OAuth and stay in Status menus at top-right. According to my experiment, Gmail’s push notification pops up less than 1 minute after I sent an e-mail from my another e-mail account. 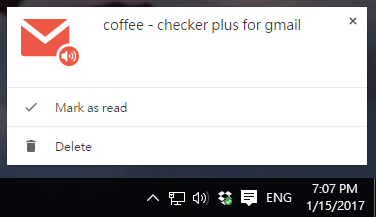 There are some other similar Chrome extension utilities such as Gmail Notifier, and they work the same way. EVO Collaborator for Outlook under Outlook 2007/2010/2013/2016 environment – If you use Outlook to send/receive e-mail messages for your Gmail account, then you need to be aware of that Outlook can only periodically check for incoming e-mail messages according to a pre-defined timer interval. Yet, you need to keep Gmail’s INBOX folder selected.However, if you use EVO Collaborator for Outlook to synchronize your Gmail contact, calendar and task, there is an extra feature of monitoring for Gmail push notification. Once deployed, you can browse around Outlook instead of keeping INBOX folder selected and ECO will still remind you of arrival of incoming e-mail messages by playing “ding” notification sound or a pre-defined wave file. Gmail Notifier Pro – This is a stand-alone monitoring and e-mail software, in which you configure your Gmail account with username & password. 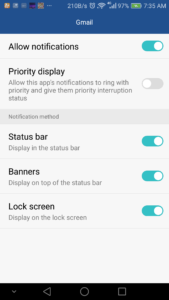 Then, you can use it for notification purpose as well as e-mail writing. You may close the application and it will go to Windows system tray area at lower-right. According to my experiment, a notification alert 2 to 4 minutes after the testing e-mail was sent from my Outlook.com account. 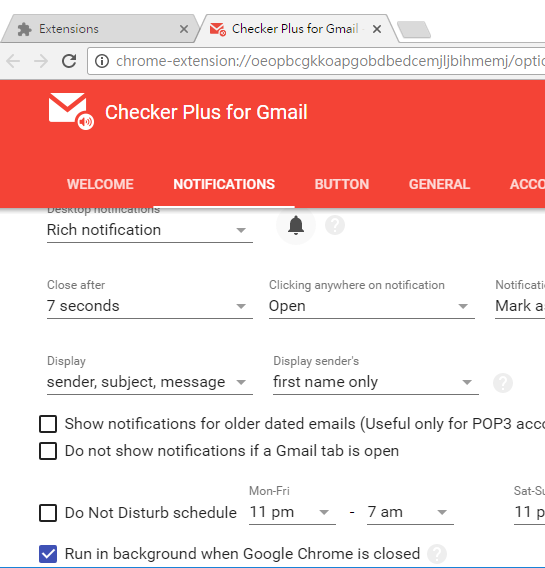 Checker Plus for Gmail – This is a Chrome extension. You can add this extension to your Chrome. Then, open the extension configuring page and put a check mark next to Run in background when Google Chrome is closed. According to my experiment, the notification alert appears above Windows system tray area within 2 to 4 minutes after the testing e-mail was sent from my Outlook.com account. iOS – Just use Gmail App for iOS to achieve email notification. OS X – , MailTab for Gmail – This is a small mail software utility. Once Gmail OAuth is complete, it will start monitoring incoming Gmail e-mail messages in the background and the notification will pop up in 1 to 2 minutes after the mail was delivered. Windows – Mail app for Windows 10 (how to enable instant notification on Windows 10? ): It is good that Mail app for Windows 10 does not have to be running in order to get notification since Notification and Action will monitor incoming Gmail e-mail messages in the background and the notification will pop up in 2 to 4 minutes after the mail was delivered.